This delightful and spacious home couldeve been plucked right out of a Hollywood set — perhaps the fictional town of eMayberrye -except ites real. 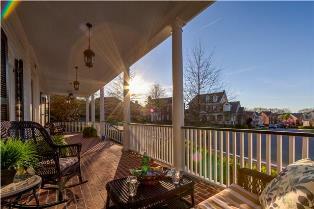 Located in Franklines popular Westhaven community, the home ate1317 State Boulevard, is a must-see property. This delightful and spacious home couldeve been plucked right out of a Hollywood set — perhaps the fictional town of eMayberrye -except ites real. Located in Franklines popular Westhaven community, the home ate1317 State Boulevard, is a must-see property. It includes an abundance of popular features, like a wrap-around porch, charming dormers and shutters, a cozy courtyard with fireplace, and impeccable landscaping. All are neatly surrounded by a white picket fence. The home features four bedrooms and three and one-half baths on one and a half spacious levels, with parking capacity for three. Priced at $825,000 and nestled on almost a quarter acre, it has wonderful appointments such as gleaming hardwood floors, custom built-ins, upgraded cabinetry, gorgeous chandeliers, thick moldings and a seamless floor plan thates sure to fit your familyes needs and lifestyle. See this home for yourself! Just off the spacious entry is the office/den, featuring large windows with plantation shutters you can open or close at your whim. Therees ample space for a desk and seating area, with plenty of light coming through the oversized windows. Just opposite is the formal dining room with a butleres pantry. It features quality cabinetry, plenty of storage and the perfect location in which to serve dinner or drinks when entertaining. The heart of this home beats in the giant-sized kitchen, which connects to both to the large breakfast nook on one side and the cozy great room on the other. Ites an ideal spot for the family to gather, talk about the day, or entertain friends. This cookes kitchen features a large island with seating for three, an abundance of counter space the family chef will appreciate, a convenient door that connects to the side porch, a large pantry, and a stairway leading to the unfinished bonus room located above the garage. Stainless steel appliances — including Bosch dual ovens -a gas cook top, neutral tile backsplash and wonderful chandelier are included in the appointments and create a modern, upscale look but with a traditional feel. The extra large breakfast enooke is highlighted by a wall of windows and a door that leads to the back courtyard. Ites roomy enough to fit a full-size table if needed, and is anchored by a beautiful chandelier. Ites bright, cheery and a great place to enjoy a morning cup of coffee and begin your day with a smile. Connected to the kitchen is the warm and cozy great room which features rich built-ins that anchor the warm fireplace, and is highlighted by a large flat screen television which stays with the home. It overlooks the outdoor courtyard, and the large windows allow for natural light to filter in. The beautiful master retreat is located down a private hallway and includes a trey ceiling and lots of windows. The calming yet cheerful master bath includes extra cabinets and drawers, with dual vanities, and an extravagant walk-in closet for all of your storage needs. The exceptional design and lushness of the expansive back courtyard create a perfect entertaining space for all outdoor activities. The kitchen, patio dining, brick fireplace, outdoor seating, and garden are masterfully integrated to create a one-of-a-kind space you and your family can enjoy almost year-round. Enjoy all of the amenities and social activities picturesque Westhaven has to offer, including a golf course, town center, clubhouse, two gigantic pools and tennis courts. Ites a great place to meet new friends, with plenty of activities within walking distance! The home at 1317 State Boulevard is zoned for Pearre Creek Elementary School, located in Westhaven; Hillsboro Middle and Independence High. 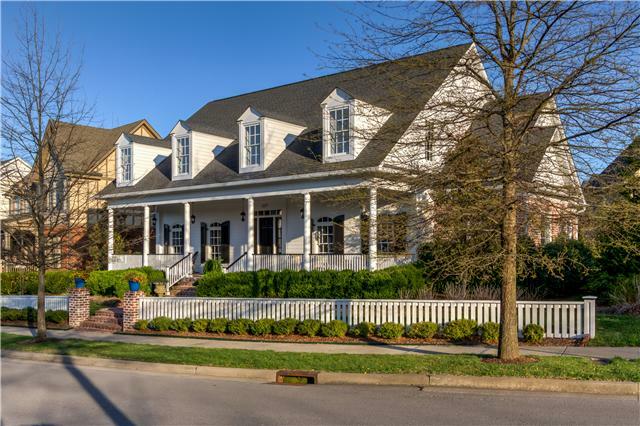 For more information or to see this property in person, contact Matt Magallanes with Westhaven Realty today, (615) 599-1764.